AgriEdge Excelsior management solutions provide valuable insights to growers. Adam Grove (left) and Brad Koch easily access Land.db remotely in a grower’s field. In a private office specifically designed for agronomic advising, an ag retailer projects Land.db® farm management software on a 50-inch screen and enters key variables relating to a grower’s farm to test different crop input choices. Meanwhile, the grower intently watches the screen, which shows him the dollars-and-cents impact his seeds, crop protection and other agronomic decisions will have on his farm’s potential crop performance and bottom line. 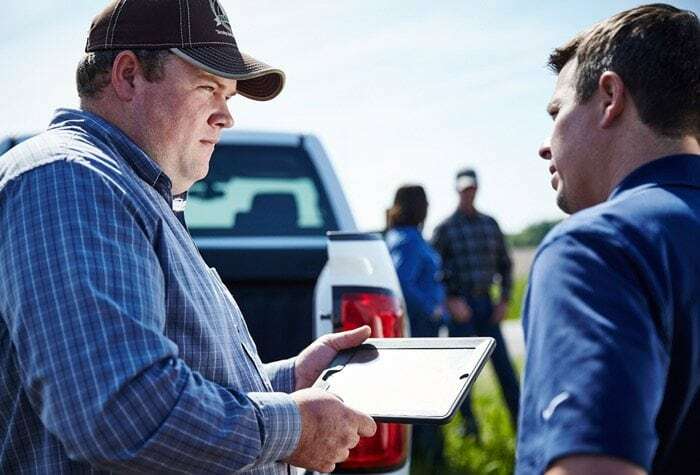 Similar scenarios are playing out more frequently, as an increasing number of farm suppliers are offering growers the ability to enroll in AgriEdge Excelsior®, the Syngenta whole-farm management program that includes Land.db. In this article, three retailers from different parts of the country describe their experiences with the program. Even though their stories are diverse, they all share a common thread—using innovation to help solve complex business and farm management challenges. In 2012, Farmers Elevator and Exchange in Monroe City, Missouri, hosted a retreat featuring AgriEdge® Specialist Brad Koch. Growers who attended the gathering and heard Koch speak agreed the benefits of the program looked strong, but they said they’d rather not spend more time at their computers. They’d prefer to have their retailer securely input data from their farms. Today, the locally owned co-op feed and agronomy company has Adam Grove, a certified AgriEdge partner, doing just that. He works with 18 AgriEdge Excelsior growers whose land represents two-thirds of all the acreage the company services. To make Grove’s job easier, field records from John Deere and Case New Holland machinery flow seamlessly into the growers’ records within the Land.db software. In addition to supporting these growers, Grove, who is also Farmers Elevator and Exchange’s agronomy operations manager, handles all the company’s agronomic operation and service through Land.db. This means that even those customers not enrolled in the AgriEdge Excelsior program benefit, because of the company’s improved operational efficiency. In total, Grove has more than 40,000 acres—every field the company has ever serviced—mapped in Land.db. With this approach, the company, which was founded in 1919, has simplified its record keeping and replaced binders of handwritten notes with an efficient, intuitive electronic system. Because a computer now analyzes the data and completes the calculations, this system has decreased both the risk of human error and the amount of paperwork operators must fill out every day. In the long run, using the software to manage operations helps Farmers Elevator and Exchange organize and plan more effectively. For example, the company is able to anticipate more than half of its customers’ spring fertilizer needs in the winter. As a result, when a grower is ready to make an application, the fertilizer is available, and a work order is just a click away. 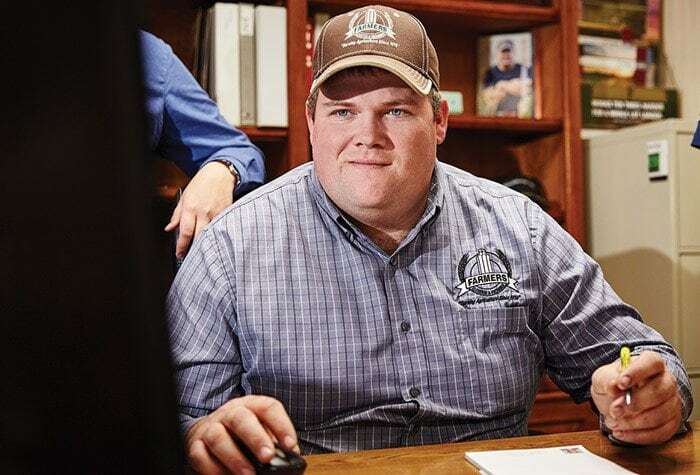 Since he was 10 years old, Shane Johnson, agronomist with Ag Tech in Stockton, Illinois, has known his Syngenta sales representative, Mike Porter. Johnson’s father, who has been in ag retail for almost 40 years, has had the same representative. “That relationship with Mike has been phenomenal,” Johnson says. With Porter and the area AgriEdge Specialist, Adam Cowser, Johnson is able to offer AgriEdge Excelsior and the program’s Land.db software to customers of Ag Tech, a family-owned, full-service retailer with seven locations across southern Wisconsin and northern Illinois. Chuck Burlison, Certified Crop Adviser, with Helena Chemical Company in Sharon, Tennessee, has worked in ag retail for 29 years. His current managerial/sales role enables him to spend one-on-one time with growers; for most of them, he recommends the AgriEdge Excelsior program. 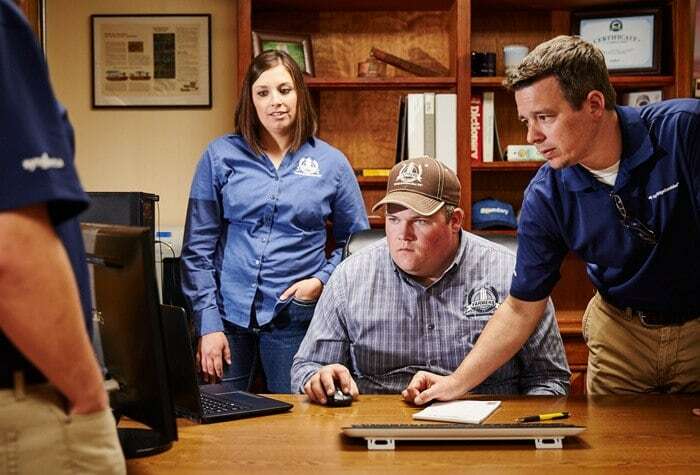 From Monroe City, Missouri: From left to right: Brenna Ruth and Adam Grove with Farmers Elevator and Exchange in Monroe City, Missouri, and Brad Koch, AgriEdge specialist with Syngenta, observe data that Land.db farm management software is generating. 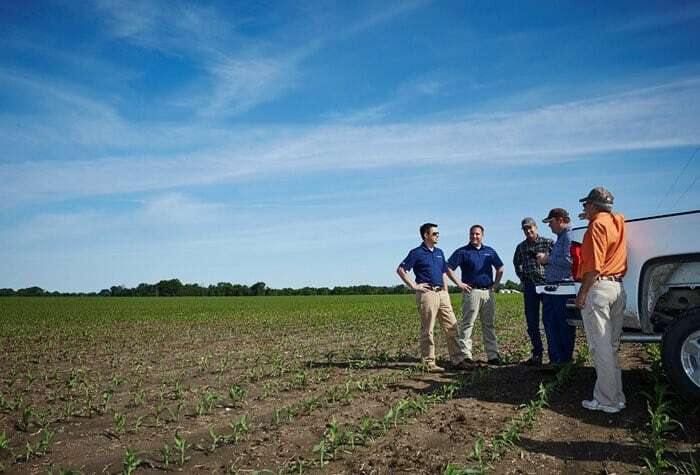 From Monroe City, Missouri: From left to right: Brad Koch and Adam Keen with Syngenta, grower Todd Hayes, and Adam Grove and Gary Carr with Farmers Elevator and Exchange discuss the benefits of the AgriEdge Excelsior program in a Missouri cornfield. From Monroe City, Missouri: Adam Grove of Farmers Elevator and Exchange works in the Land.db program. From Monroe City, Missouri: Gary Carr (left) and Brad Koch check on a young corn plant’s roots. 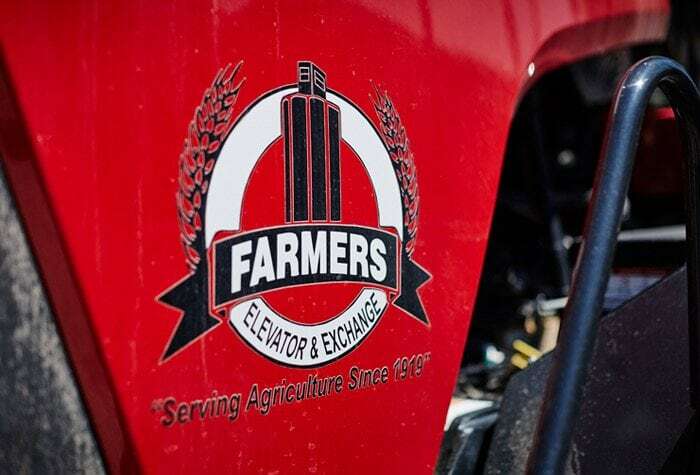 From Monroe City, Missouri: Farmers Elevator and Exchange, a locally owned co-op feed and agronomy company in Monroe City, Missouri, has a long history of agricultural excellence. 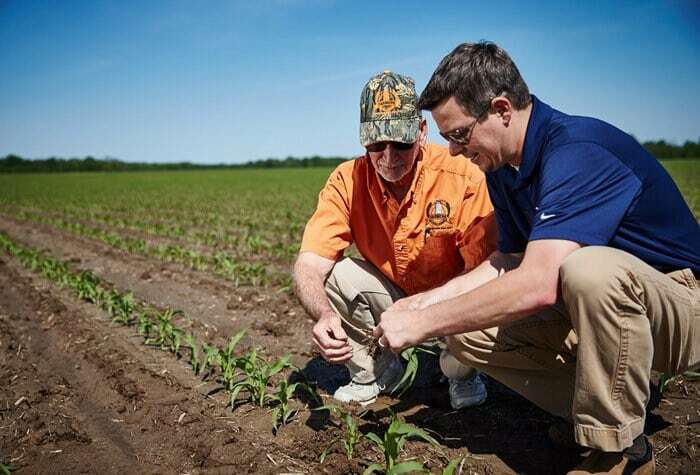 Weakley County, Tennessee: From left to right: Chuck Burlison with Helena Chemical Company and Cory Gilbert with Syngenta visit grower David Coates of Weakley County, Tennessee, in one of Coates’ cornfields. 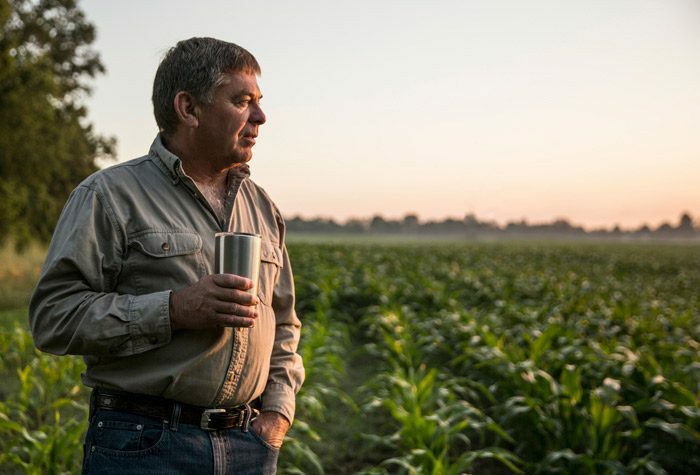 Weakley County, Tennessee: David Coates enjoys a cup of coffee as he watches over his corn crop. 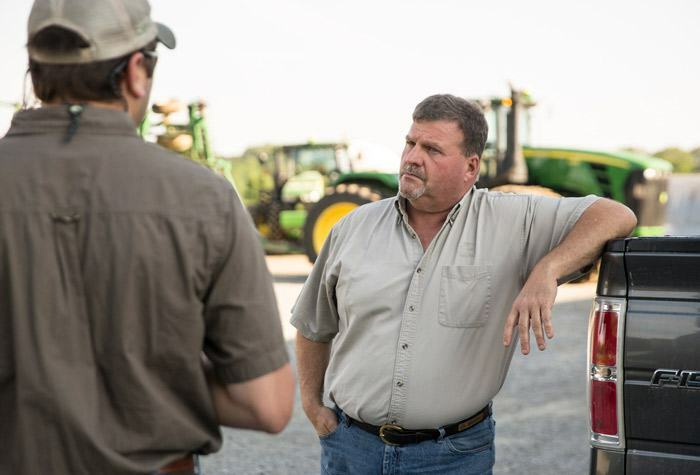 Weakley County, Tennessee: Chuck Burlison (right) speaks with David Coates’ oldest son, Logan, on Coates Farm, a 2,500-acre operation where the family grows corn, soybeans and wheat. 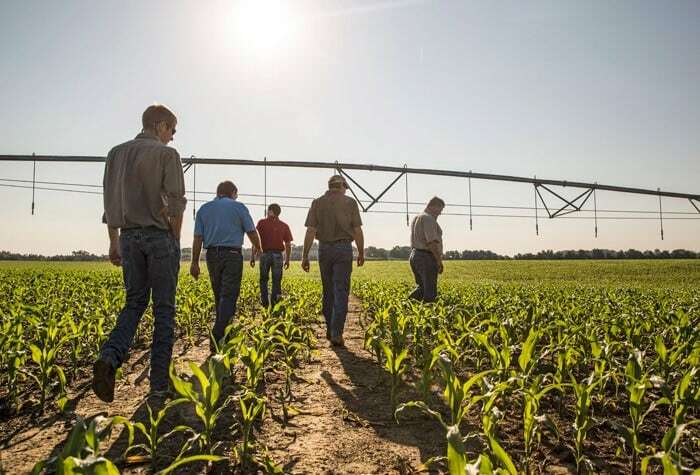 Weakley County, Tennessee: From left to right: Landon Coates, David Coates, Cory Gilbert, Logan Coates and Chuck Burlison check on a field of irrigated corn. 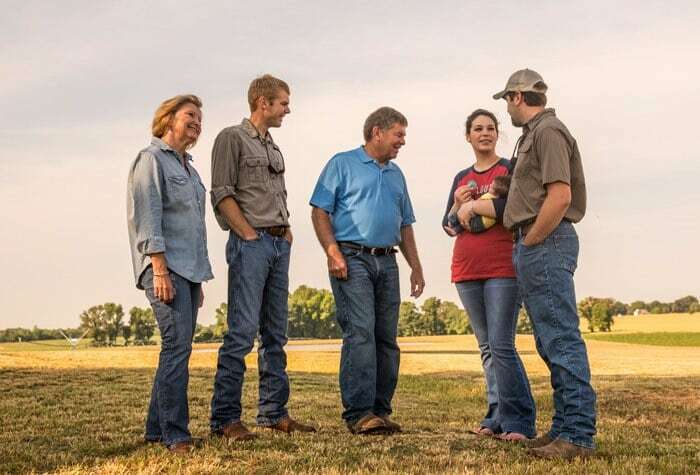 Weakley County, Tennessee: From left to right: For Pam, Landon, David, Beth Ann and Logan Coates, farming is a family affair. 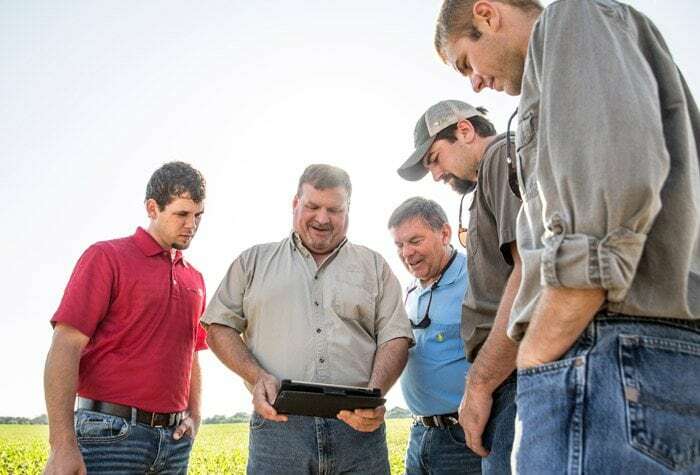 Weakley County, Tennessee: From left to right: Cory Gilbert, Chuck Burlison, and David, Logan and Landon Coates work together to maximize the value of Land.db farm management software on the Coates’ family farm. Burlison’s customers David and Pam Coates of Coates Farms, LLC, agree. Located in Weakley County, Tennessee, they grow a mix of corn, soybeans and wheat on their 2,500 acres. They joined the AgriEdge Excelsior program a few years ago when their sons, Logan and Landon, graduated from college and returned to the family farm. To expand their operation, the family decided to invest in irrigation systems. Today, Coates Farms has six irrigation pivots. With Land.db, they’re able to map the optimal placement of irrigation pivots. The software also allows them to electronically connect the pivots directly to the server, so the Coates can use the information in their production records to figure out what irrigation regime works best. Additionally, the family uses Land.db to analyze data relating to yield-mapping, fertility, chemical sprays, hybrid selection and variable-rate seeding. “We’re building complete production plans for customers like the Coates with AgriEdge Excelsior and AGRIntelligence,” Burlison says. For the past three years, Coates Farms has either won or placed near the top of the Weakley County National Corn Growers Association’s National Corn Yield Contest for dryland and irrigated corn. 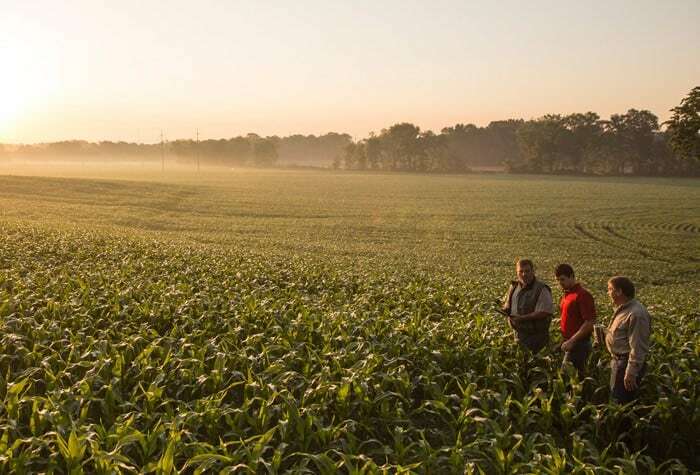 The Syngenta whole-farm management program combines secure data management, cutting-edge product choices and reliable on-farm service.